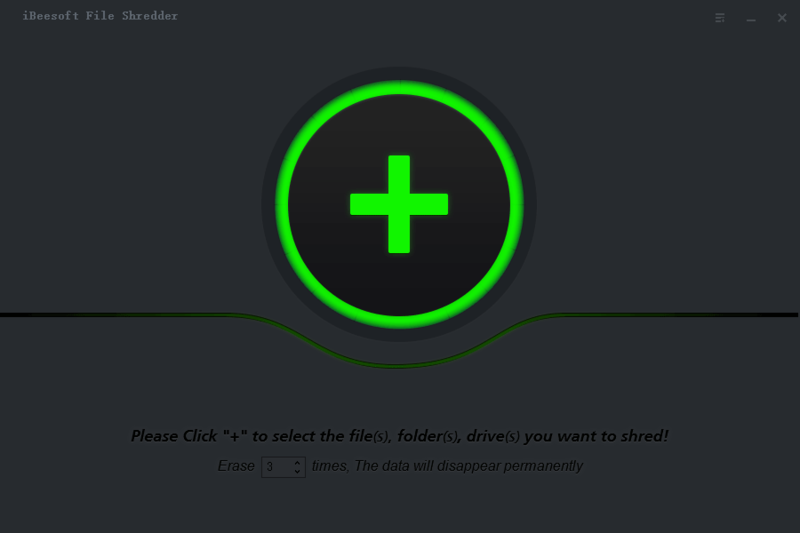 A secure and "unrecoverable deleted" tool to shred files and wipe hard drives. iBeesoft File Shredder can help you to wipe unused and sensitive data from specific files, folders, desktop, partitions, disks to protect your privacy. Securely Wipe Drive Data and Shred Sensitive File! Permanently wipe the disk or shared data, irreversibly remove sensitive data easily and effectively. 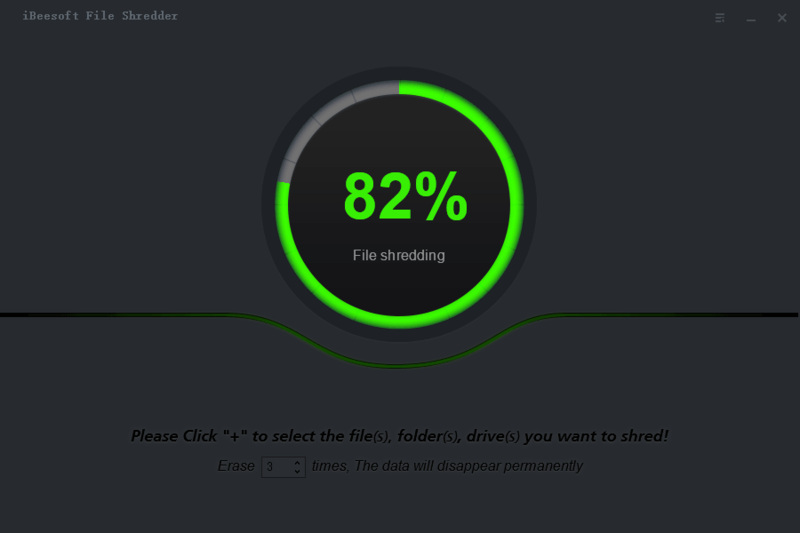 The File Shredder tool offers the powerful protection for your important information and privacy, the certified data erasure algorithms make sure your data unrecoverable by others, its high-speed wipe feature can save your valuable time, it also rarely occupies system resource. Directly file deletion and disk formation don’t mean data disappear thoroughly, some sensitive data can be recovered with some recovery software for special intention. To protect your private and sensitive data such as passwords, financial or health records, you need to clean all your internet history and erase important data on PC and guarantee file not to be reclaimed by unauthorized technical actions. The data wiping software with intuitive interface is so easy to operate, especial for new learners. Launch the program and select the specific folder, partition, disks, then click “Shred” button, and all operations that need you do have done, the program will take the rest like shredding data, overwriting the space etc. To avoid your important data loss by wrong operation during the process, you’d better make a copy of your value data to other places like external drives, what’s more, ensure you correctly choose the folder lists to shred. iBeesoft File Shredder can shred all types of files like pictures, documents, videos, audio, archives, emails, etc. Reclaim space by deleting unnecessary files and redundant files from HDD, SSD, Computers,USB, memory card, digital camera, external hard drive, etc. , so that improving computer or storage device performance. Disk Space: The minimum of space for running is 100 MB. Computer: PC, Laptop, hard drive (SSD included) etc. Card Storage: SD Card, Memory Card, CF Card, Smart Card etc. Digital Device: Digital Camera/Camcorder, DV, MP3/4 Player etc. Large Storage Device: RAID, Large-capacity Drive (more than 2TB) etc. Storage Media: USB/Pen/Zip drive, Floppy Disk, Memory Stick etc. "A simple shredder tool that can quickly erase files or disks and cannot recover by data recovery software"
"I used formatting to completely clear the memory card data, but failed. These data can be recovered from the software. Then I used iBeesoft file shredder, and it was completely erased. A good piece of software"